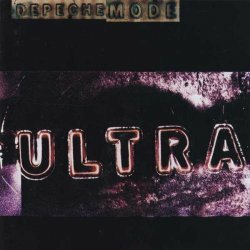 Ultra (1997) Despite Gahan's increasingly severe personal issues, Gore tried repeatedly during 1995 and 1996 to get the band recording again. However, Gahan would rarely turn up to scheduled sessions, and when he did, it would take weeks to get any vocals recorded. Gore was forced to contemplate breaking the band up, and releasing the songs he had written as a solo album. In mid-1996, Gahan entered a drug rehabilitation program to battle his heroin addiction. With Gahan out of rehab in 1996, Depeche Mode held recording sessions with producer Tim Simenon; the next year, the album Ultra, and its two preceding singles, "Barrel of a Gun" and "It's No Good", were released. The album debuted at #1 in the UK and #5 in the US. "Home" and "Useless" were also released from the album, becoming a double A-side in the US. A second singles compilation The Singles 86-98 was released in 1998, preceded by the new single "Only When I Lose Myself", which had been recorded during the Ultra sessions. The band set off on a four month tour.